John Singe is one of the pre-eminent local historians up in the Torres Strait, although retired now to mainland North Queensland he still has his finger on the pulse of culture and events on the islands. The best example of this is his most recent book, Coral Sea Story. I read it for research into the Torres Strait exhibition I’m working on for the museum and was amazed at the historical detail that John was able to incorporate while keeping an exciting story flowing forward. This is a book that every high school history student in Queensland should be reading. So many of the characters and events that have crossed my desk over the past eight months made appearances and he gave them more context than the dozens of academic tomes I’ve read over that time. 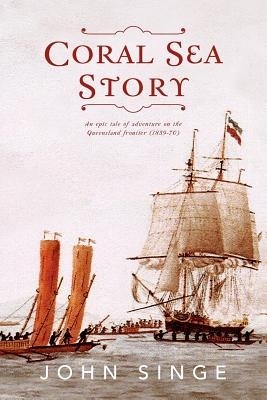 So my congratulations and thanks to Mr. Singe for this book and a high recommendation to anyone interested in the Queensland’s fascinating and gruesome history.